Art Junction presents its first fundraising art show, sale and silent auction to support Houston public art. 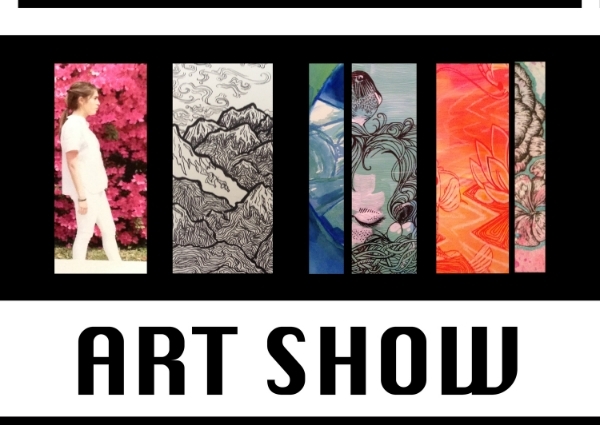 The two-hour show opens at 4 pm on Saturday, May 17 and will feature pieces by Houston high school and professional artists and photographers, as well as select out-of-state artists. 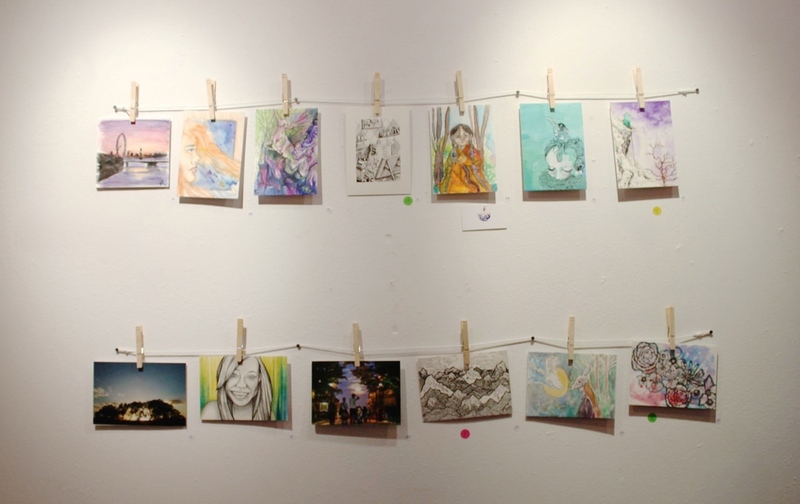 Studio art pieces are created on 5x7 paper generously donated by Texas Art Supply and range from intricate pen drawings to collage to photo prints. This year, Art Junction will benefit the Art League of Houston’s Esplanade Project. The Art League created the project, a series of temporary public artwork, in 2013 as its first serious venture into public art. Like we do, the Art League believes that public artwork enriches the lives of people who pass; it can provide the high point of your day or simply spur a conversation. In addition, public artwork contributes to a space’s identity while also increasing its cultural, social, and economic value. The first piece of the Esplanade Project is Patrick Renner’s stunningly colorful, 180 ft. Funnel Tunnel. This brilliant sculpture, which winds along a Montrose Blvd. median right outside the Art League, has been featured on Chron.com, Glasstire, and Colossal, and draws the attention of the multitude of commuters that pass it each day. The next piece will neighbor the Funnel Tunnel on the median in front of Texas Art Supply. Save the date for May 17. Bring your friends and family to our art sale and silent auction at seize the opportunity to appreciate the talent of our city’s artists. By participating, you will help Art Junction and the Art League “humanize the built environment that we live in and invigorate the public spaces around us.” Join us at this important junction of the art world, making Houston’s artwork more accessible to all!